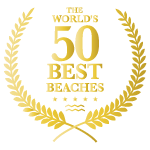 We are lucky enough to live in a time when many exciting opportunities are open to us, with travel being chief among these. It is very easy to take such experiences for granted and forget just how amazing it is to be able to travel to the other side of the world in a matter of hours as opposed to months and jet off for a weekend in another country for a relatively small amount of money. 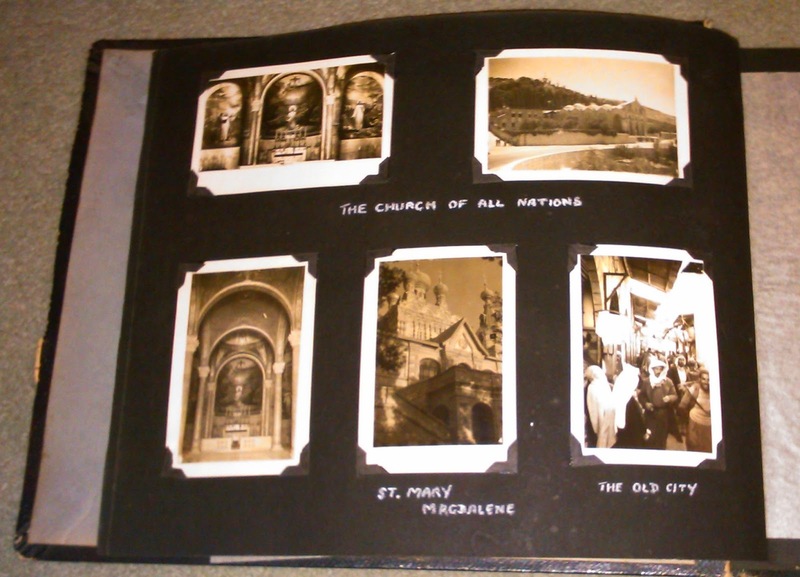 All of this was put into perspective for me recently when I came across a photo album of my grandfather's from the 1940s. I cannot describe the extreme excitement I felt as I turned the pages and saw titles such as 'Palestine', 'Cairo' and 'The Island of Masirah'. My grandpa was a wartime pilot at 19-years-old and such travels as a young man were the result of a terrible conflict, which many would not return from. What struck me about the small black and white images lovingly fixed onto the pages was that they showed a group of friends enjoying the time they had to explore these exotic locations. This could be due to the huge relief of having time off between dangerous missions and not knowing whether they would survive. It must also have been coupled with the thrill of being in such far flung places, the chances of which to visit never having been opened up to ordinary men from Chingford before. But first and foremost, these were young men in their early 20s having an opportunity to let their hair down and enjoy themselves. There are photos of famous sites and the men in uniform, but also pictures of them posing with an elephant, meeting the Sultan of Muscat and one of them wrapped in towels entitled 'A bathing party'. 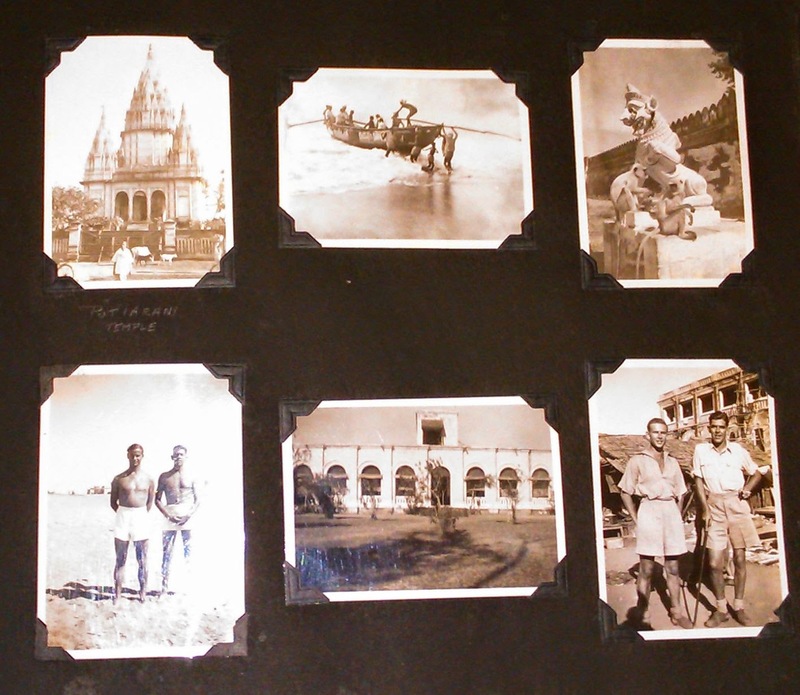 This sudden glimpse into the life of my grandfather as a young man travelling the world was fascinating. But the album opened up as many questions as it answered, as the names of places and notes in pencil only told part of the story. 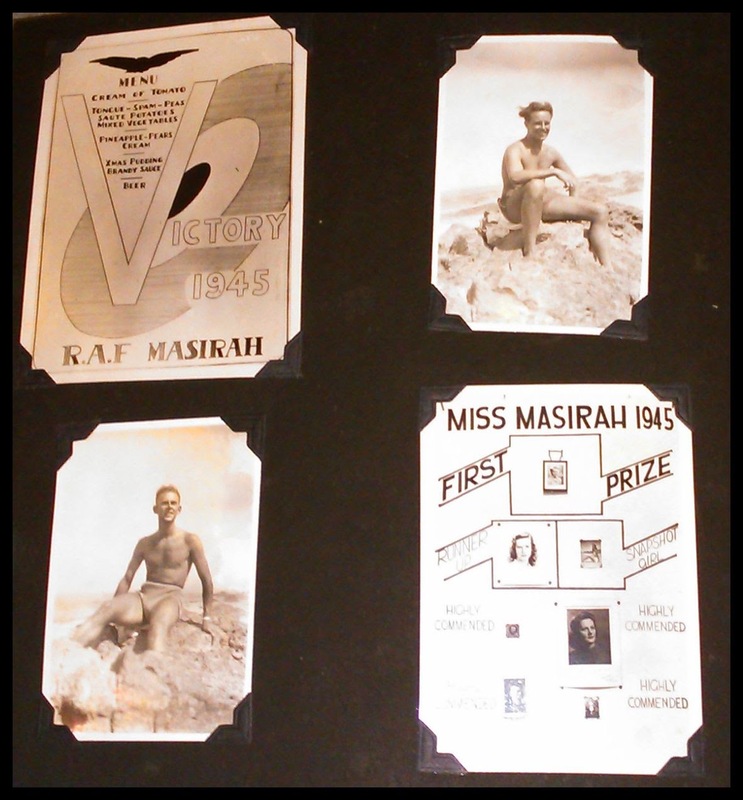 The only dates to be found were on a picture of a 1945 victory dinner menu and a round-up of the Miss Masirah 1945 competition. A photo of my grandmother is shown as being voted highly commended! People did not take thousands of photos in those days like we do today and it is impossible to know over what time frame these events took place. My suspicion is that it is several years and this travel album depicts the high points in what was a very difficult time. While it is obvious where the pages entitled 'The Fourteen Stations of the Cross' and 'Cairo' were taken, as the book progresses, the clues are harder to decipher. I knew that my grandfather was involved in an aircraft crash in Burma and presumed that the photos taken of temples were in the country. My research has not come up with a definite location for the place he has called the Putiaram Temple, but the photos taken at the same time are most definitely India. They are of Howrah and Jagganath Temple in Puri. This suggests that my initial suspicions that the pictures are from Burma stems from an over-reliance on context as opposed to the facts. The Island of Masirah was obviously a Royal Air Force base and looking into it, I have found it was in operation as a staging post from the 1930s up until 1977. 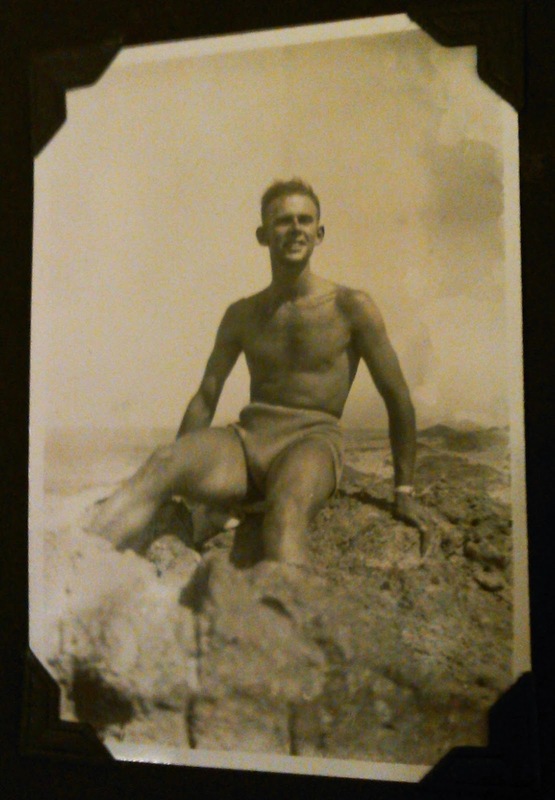 Many men have spent time on the island 15 miles off the coast of Oman in the Arabian Sea and it appears to have been a place of great comradeship, which it is safe to say, can be seen in grandpa's photos. Another location that seems to hold happy memories for Flight Officer Peter Dodd and his friends is The Gezira Club, which I have since discovered is the oldest of its kind in Africa. Situated on the island Zamalek in Cairo, it was built in 1882 and is still an exclusive club to be a member of to this day. 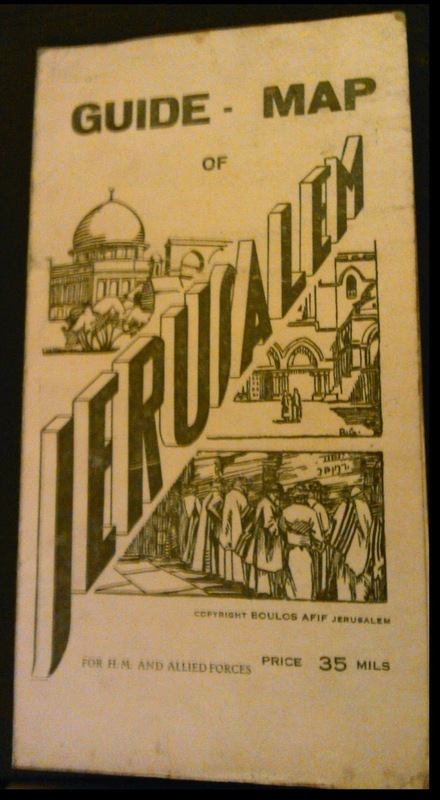 As well as the main body of the album, slotted into the back are a number of things, including a guide to the sites of Jerusalem - a precursor to the ubiquitous Lonely Planet books of today. This simple folded sheet of paper shows there was an appetite for tourists to explore the Holy Land even then. After the war, my grandpa continued to travel and always kept his flight log up-to-date. Later entries show the types of aircraft he and my grandmother flew on as they journeyed to holiday destinations all over the world. Always recorded was the pilot's name, alongside the date, time and flight details. That is a great story. To identify landmark photos try getting the 'Google Goggles' app on your phone, then use it to take a close up of the photo. I have just tied it on an old postcard from the 1930s that I have. It immediately identified the location, even though parts of the scene have since changed.